We report the results of a field experiment where we sent to over 1200 university students an email or a Facebook message with a link to (non-existing) party pictures from a non-existing person, and later asked them about the reasons for their link clicking behavior. We registered a significant difference in clicking rates: 20% of email versus 42.5% of Facebook recipients clicked. The most frequently reported reason for clicking was curiosity (34%), followed by the explanations that the message fit recipient’s expectations (27%). Moreover, 16% thought that they might know the sender. These results show that people’s decisional heuristics are relatively easy to misuse in a targeted attack, making defense especially challenging. 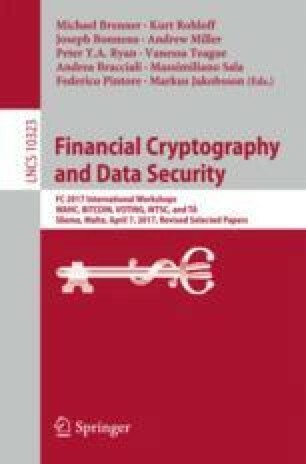 Targeted Attacks Workshop at Financial Cryptography and Data Security 2017. ©IFCA. We thank Nadina Hintz, Andreas Luder and Gaston Pugliese for their invaluable help in data gathering and analysis. Zinaida Benenson and Robert Landwirth were supported by the Bavarian State Ministry of Education, Science and the Arts within the scope of research association FORSEC (www.bayforsec.de).